Minim is modular. From a vital component to a full turn-key system, the Minim cloud enables operators to deliver modern broadband services. WiFi that just works, safe and sound. Your subscribers rely on you. As their connected devices warm the home, entertain the kids, and lock the door, subscribers expect dependable, controllable, and safe WiFi. With the Minim App, that's just what you'll deliver— plus, a delightful user experience. In the smart home era, subscribers expect WiFi setup to be not only easy, but a pleasant unboxing experience of one or more routers. No matter your choice of CPE, Minim will make sure it is. Minim was founded in response to the Mirai botnet, which took control of thousands of webcams in subscriber homes. 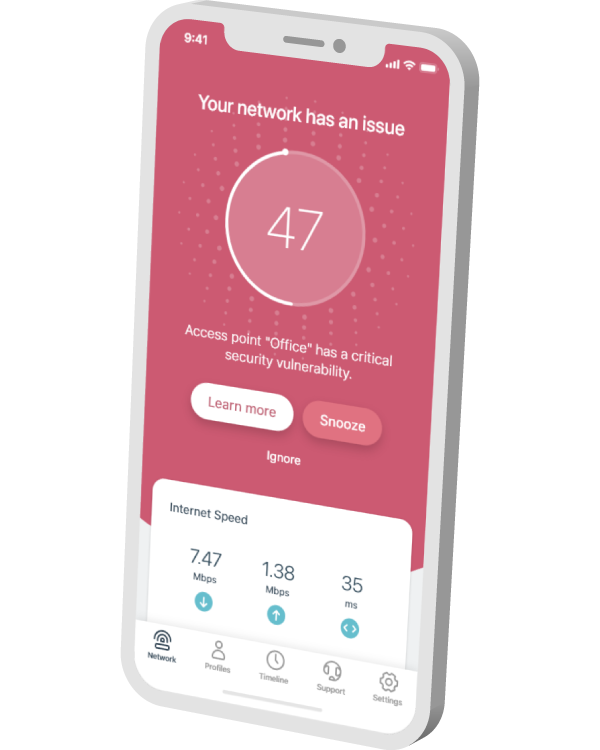 Minim set out to enable operators to transparently protect the privacy and availability of subscriber devices and personal information. It's in our DNA. Higher ARPU. Lower OpEx. Smooth operator. When subscribers call for support, the network operator needs some help, too. Care representatives need crystal-clear home network visibility and diagnostics to tame the caller's 10+ connected devices without a truckroll. Enter the Minim Care Center. Router firmware management is inherent and vital to the Minim platform. From routine updates with the latest image to security hole reactivity, Minim is able to roll out stable firmware leveraging Unum— a self-reliant mechanism independent of the router's TR-69 support. Over 90% of consumers lack confidence in the security of IoT devices, and government regulations are brewing. The Minim Security Center gives operators a holistic, automated cyber protection solution with unprecedented visibility to tackle network threats.